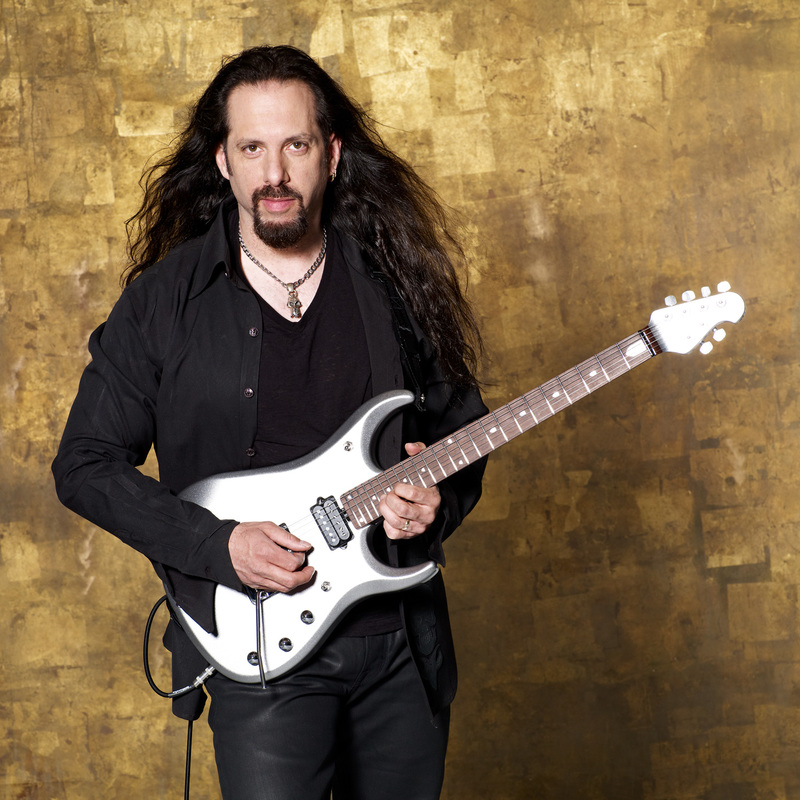 John Petrucci is a longtime user of our ClipLock® Quick Release Guitar Straps. 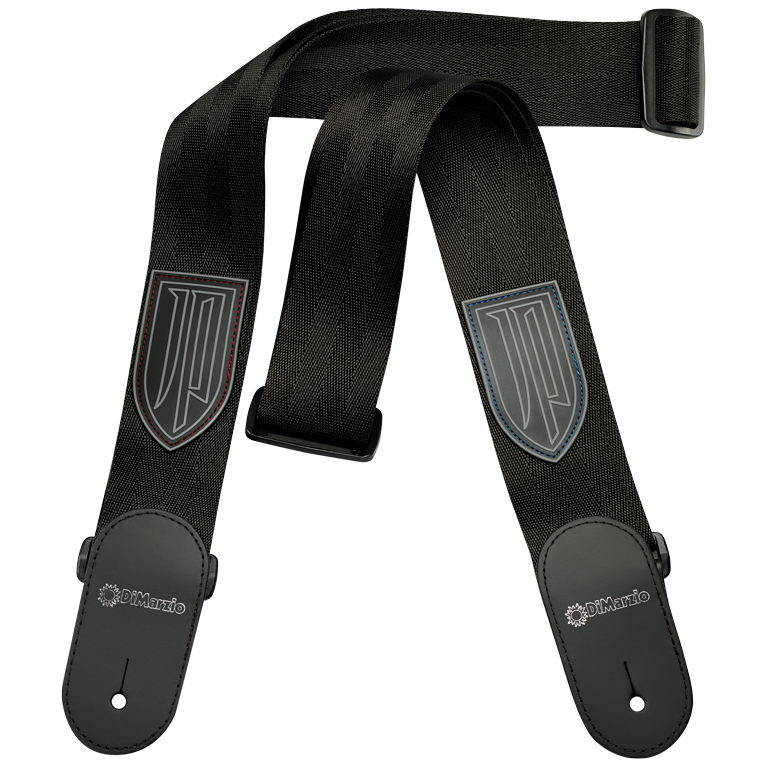 The John Petrucci Nylon ClipLock® Guitar Strap was specially designed for and with John, and made to his custom requirements. It is 2 inches wide black nylon and features John’s JP shield logo in gray and black stitched to the lower front portion, just above the heavy-duty clip and bushing that attaches to your guitar. The strap is available in your choice of either blue or red topstitching. 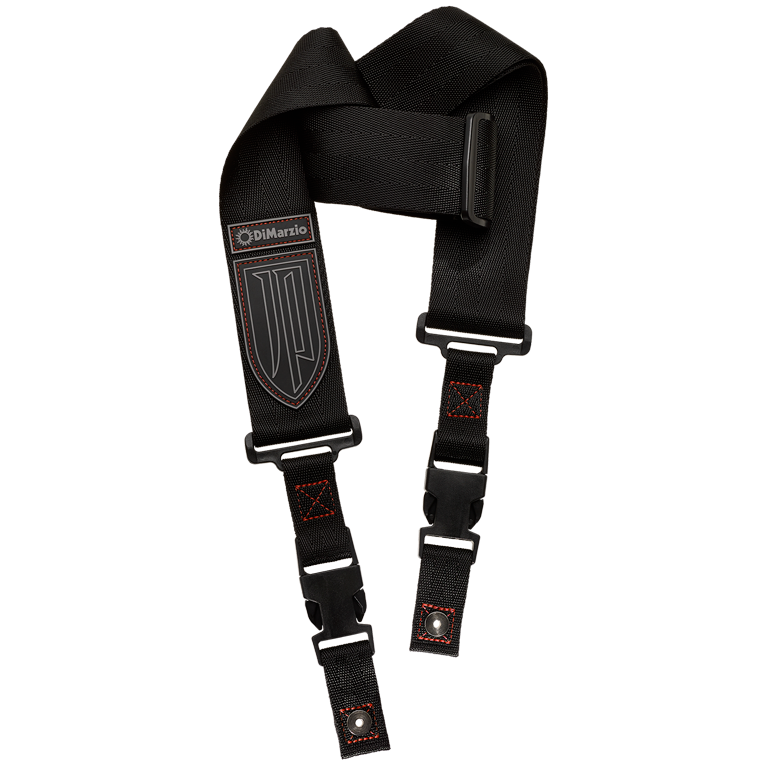 Additionally, 3 John Petrucci Jazz III picks by Dunlop® are included with each strap. These picks were designed to John’s own specifications. The 1.5 mm black Ultex picks feature a raised grip with the same JP shield logo as the strap and a slick polished tip. We make our ClipLock® Quick Release Guitar Straps with automotive nylon seatbelt material for its comfort, strength, and durability. Nylon has a smooth, satin feel, allowing the guitar to slide freely during performance. The fabric conforms to your body and adds a new level of comfort, yet it is strong enough to hold over 150 pounds! The John Petrucci Nylon ClipLock® strap is available in John’s Custom Length and Standard Length.